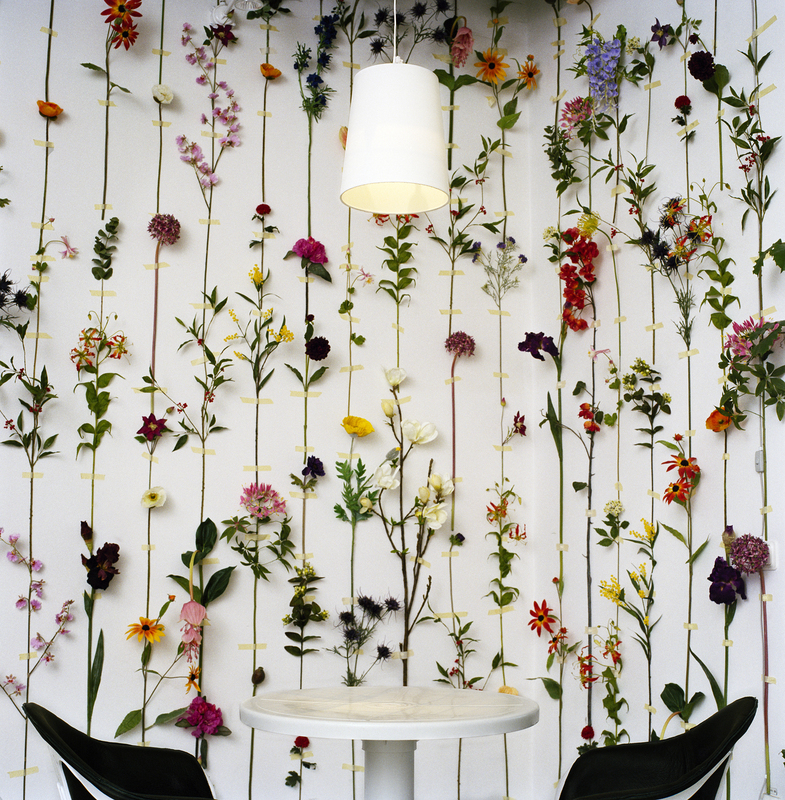 Simply lovely: silk and plastic flowers taped to the wall for a 3-dimensional wallpaper effect. While this faux-floral look (and the effort involved – imagine the time it took to tape up each and every stem!) is probably not for everyone, the colorful, unique and creative idea is undeniably inspiring.